This month we are spotlight Close to My Heart Circle Cards. They come in White Daisy and Colonial White. 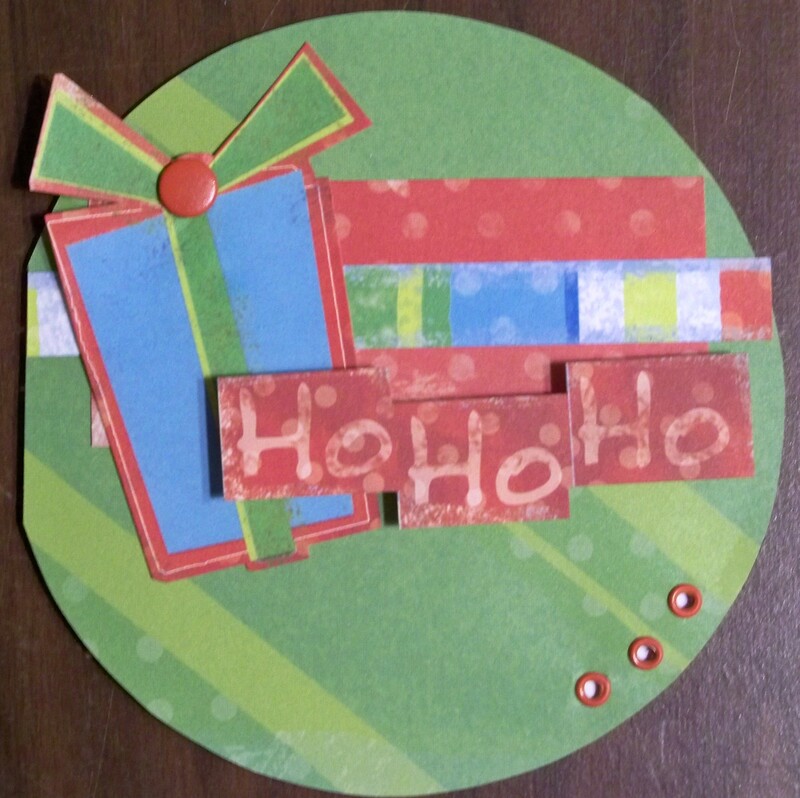 You can also get scalloped circle card along with squares in the Clear Card Pack. The hop is a circle. If you have starting here, continue until you make your way back and you will have seen all the artwork. If you are coming from Diana’s Blog you are on the right path. I made these cards with the same design from Wishes just using different products. I always think it’s fun to see how the same pattern can produce such different results. 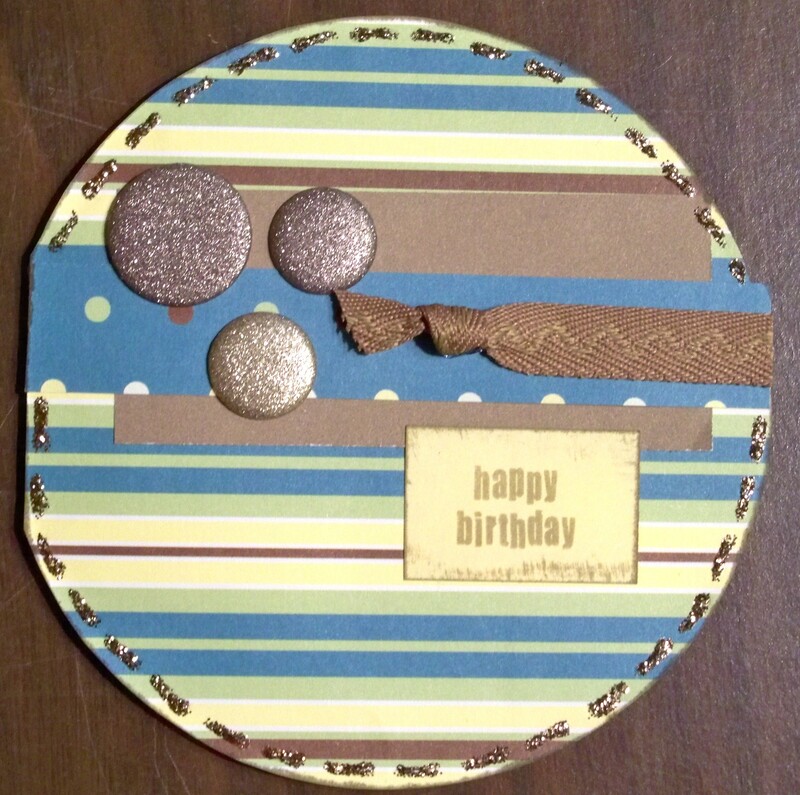 Supplies used are all Close to My Heart: Good Times paper (retired), Shimmer Designer Brads, Glitz Glitter Gel – Bronze, Designer Ribbon Rounds Chocolate Collection, and Happy Birthday stamp set (retired). Simply Secure design from Wishes. Supplies used are all CTMH: Deck the Halls paper and My Stickease, Cranberry Concho, and Cranberry eyelets (all these products are retired). Your next stop is Mary’s Blog! If you get lost along the way, you can go here for a complete list of blog hop participants. I like the dimension on the Christmas card–simple yet detailed! Way to go – using up all of your scraps! Cute cards. This would be nice in scrapbooks! I love the color combo of the second card! Playful and fun to look at! Cute!